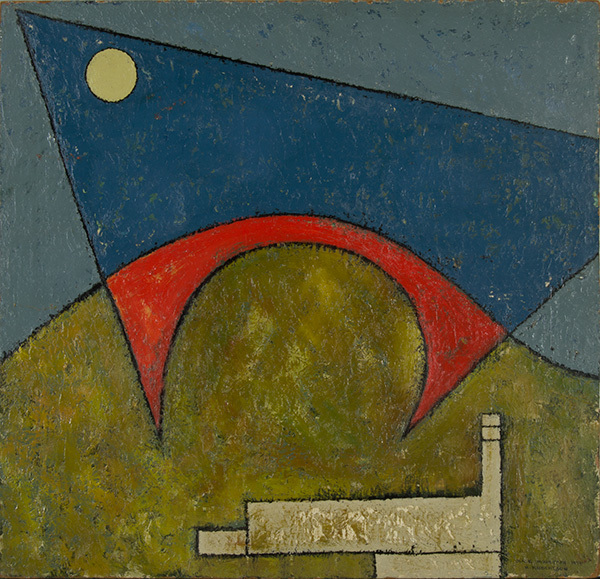 Ronald Robertson Studies Building at Black Mountain College, oil on Masonite, 17.9 x 18.6 inches. Gift of the Artist. 2013.19.04.21. A popular resurgence of interest in Black Mountain College (BMC) continues to grow nationally. There are numerous exhibitions happening this year recalling the school’s rich historical past while holding high its living legacy, with a show entitled Geometric Vistas: Landscapes by Artists of Black Mountain College opening on August 6th at the Asheville Art Museum in North Carolina. And for my latest feature article at MaxEternity.com, I spoke with the excutive director of the Asheville Art Museum, Pam Myers. Read more.